Two of the most widely used paper products businesses are pamphlets and flyers. They're wonderful tools that can be used advertise a product or service, an event, and so much more. Unfortunately, many companies use the tool incorrectly, which often results in lost sales or confused customers. Because of this, we felt it was important to breakdown and highlight the difference between these two timeless products. The most noticeable difference between the two paper products is length. A flyer is typically one full sheet of paper, while a pamphlet will consists of three to 48 pages (Anything beyond that is classified a book). It's all about delivering your message in the most effective manner possible. The more urgent and easily understood the message, the more powerful a flyer becomes. The more knowledge that's needed to fully grasp an idea, the more powerful a pamphlet becomes. Flyers, pamphlets and the like are passed out with the intent of growing awareness. Selecting the right paper product, depends on how much information must be delivered in order to successfully get your message across. Why are flyers so useful in these situations? This is all about timing. People are moving passed the sign or the action needs to be taken instantly. They’re quick moments, so grabbing attention and delivering an obvious, sometimes urgent, message is pivotal. The advertising goal of pamphlets is to provide clarity to the customer through details. You still want to be concise - this isn't a book - but you do want to flesh out the situation. The idea is to provide them with enough details to make a decision (Purchase this widget, go with your company, stick around for the event). Flyers offer a bit more flexibility in placement. Because they are on one page, you can post or hang a flyer in a public place. You can also hand flyers out to prospects/customers or send them in the mail. 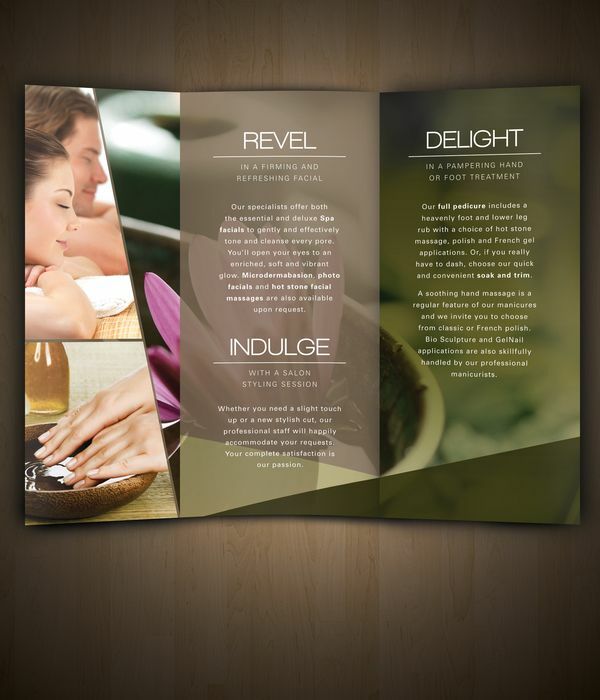 Pamphlets were created to give a potential customer more details about a specific topic. You really want them to dig into the material. Ideally pamphlets will be handed out, so that additional inquiries can be answered. Placing them at an entrance or service desk is also extremely valuable.